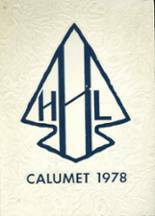 Listings of high school yearbooks for HLBHS can be found below. You will find former students who are seeking yearbooks, those looking to sell a yearbook and general yearbook requests among the H L Bourgeois High yearbook listings. This yearbook section was created to help alumni post yearbook classifieds. H L Bourgeois High School alumni can relive their experiences from high school by sharing memories and pictures, reconnecting with those alumni listed, and more. I really need a yearbook to start planning our 20 year reunion! I graduated in 1990 but never purchased a 1988 yearbook for my sophomore year. I would like to purchase a 1986 HLB Yearbook.